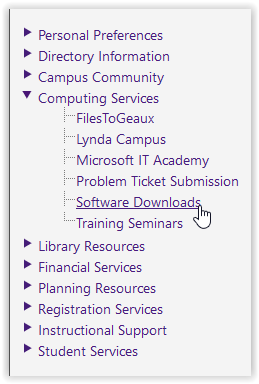 In the Software Downloads section of the myLSU portal, a student or faculty member can find numerous different types of software available to him or her. Almost everything one could need on his or her computer to be a successful student or faculty member is available in this area. One can download software for Windows, Mac, or Linux operating systems. 3. 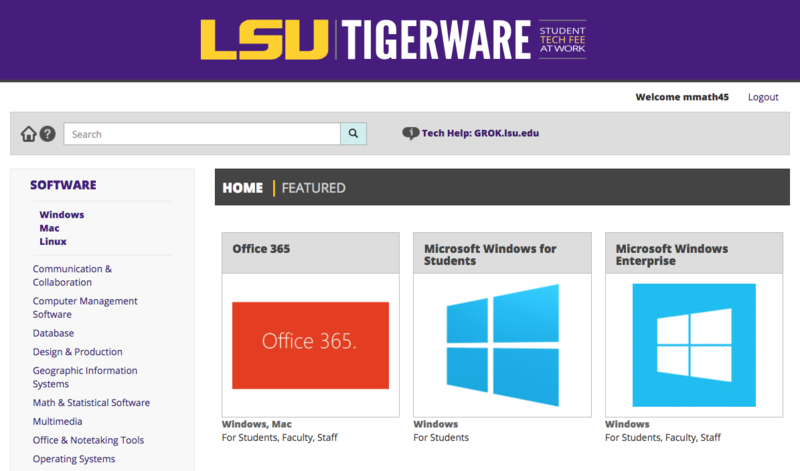 After clicking on Software Downloads, a new window will open in your browser that will take you to the TigerWare official website.